. . . The terms witchcraft and witch derive from Old English wiccecraeft: from wicca (masculine) or wicce (feminine), pronounced “witchah” and “witchuh,” respectively, denoting someone who practices sorcery; and from craeft meaning “craft” or “skill.” Roughly equivalent words in other European languages—such as sorcellerie (French), Hexerei (German), stregoneria (Italian), and brujería (Spanish)—have different connotations, and none precisely translates another. The difficulty is even greater with the relevant words in African, Asian, and other languages. The problem of defining witchcraft is made more difficult because the concepts underlying these words also change according to time and place, sometimes radically. Moreover, different cultures do not share a coherent pattern of witchcraft beliefs, which often blend other concepts such as magic, sorcery, religion, folklore, theology, technology, and diabolism. Some societies regard a witch as a person with inherent supernatural powers, but in the West witchcraft has been more commonly believed to be an ordinary person’s free choice to learn and practice magic with the help of the supernatural. (The terms West and Western in this article refer to European societies themselves and to post-Columbian societies influenced by European concepts.) . . . The answer to the old question “Are there such things as witches?” therefore depends upon individual belief and upon definition, and no single definition exists. One thing is certain: the emphasis on the witch in art, literature, theatre, and film has little relation to external reality. A common thread running across all accounts of “witchcraft” is the general belief that it is the antithesis of “proper,” “appropriate,” or “respectable” religiosity. Thus witchcraft is the “abuse” of “religion” for selfish and malevolent ends, whether on one’s own behalf or on behalf of other agents. Therefore, the role of a “witch” or “wizard” in society is negative, while that of a “priest” or “medium” is positive. A priest will be invited to conduct public rituals, but a witch can conduct only secret ones. 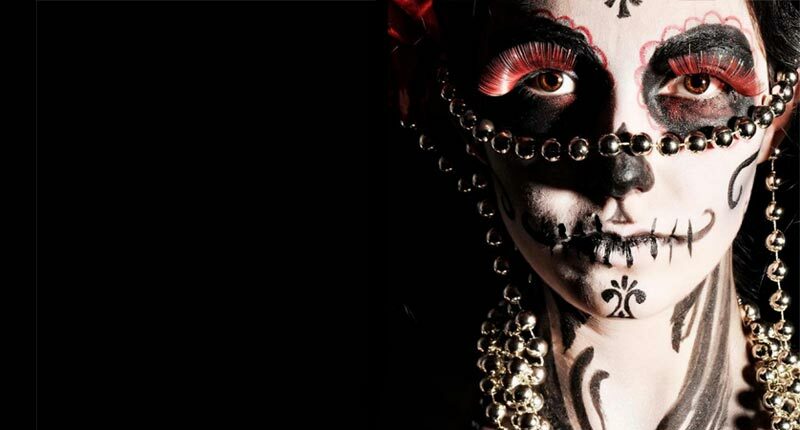 A priest is associated with life, while a witch is associated with death. On the basis of this phenomenological template, it is possible to conclude that witchcraft, however defined, is presupposed in all societies, but it is manifested differently from society to society, from culture to culture, and from generation to generation. Pew Research on the importance of religion in public life, conducted in 2009, seems to confirm this hypothesis. There is no nation in which religion is totally insignificant. The intensity of religiosity is relative, both within and across nations. Since the 1960s there has been a school of thought suggesting that religiosity would be declining under the influence of urbanization and industrialization, and that the intensity of religiosity would be inversely proportional to the level of urbanization and industrialization. If this were true, the US and Canada would by now have the lowest intensity of religiosity, on account of their high levels of urbanization and industrialization. The Pew Research report cited above indicates that US, Canada, Germany, Italy, and Spain have relatively high intensity of religiosity despite their high levels of urbanization and industrialization. At the same time, internet resources on witchcraft across nations and regions indicate that beliefs in witchcraft still linger on, even in nations with high levels of urbanization and industrialization. Both bewitching and witch-hunting are always manifested as victimization of individuals and groups competing for power and social influence. The victims are always caught in between these contestants. The Encyclopaedia Britannica article on “witchcraft” suggests that between 1300 CE and 1782 CE, at least 110,000 people were prosecuted for witchcraft, and at least 40,000 were executed. Before and during the European Reformation the practice of witchcraft was commonly regarded as a perversion of individuals possessed by Satan, which could The challenge is how to practice religiosity in such a way as to enhance life, rather than undermine it both overtly and covertly.be cured only through death for the sake of both the church and the state. The witch hunts became an obsession of the ruling elite in eliminating individuals who were suspected of being a liability to the status quo. Most of those executed were women, on the lower strata of society. The abuse of “religion” is always a possibility in every culture and in every generation. No religion, no matter how sophisticated, is immune to abuse. The English language is inadequately equipped for discourse on the ontological and conceptual intricacies of the African worldview in which “witchcraft” contextually functions. What actual words in African languages translate the word “witchcraft”? In what language do we think when we engage in discourse about this theme of witchcraft? To express this concern differently, it certainly matters what language is considered the “source language” when people of diverse cultures engage in academic, philosophical, or theological discourse. Today in the “civilized West” the practice of “witch hunting” continues through the mass media—despite legislation against “witchcraft.” Laws against slander and libel are inadequate as deterrents, because the defendants often cannot afford to sue the offenders who make allegations of “witchcraft”—political, economic, religious or otherwise. Similarly, in Africa today the persons accused of witchcraft often become victims of mob injustice, especially in contexts where law-enforcement agencies are unable to prevent such behavior through commission or omission. 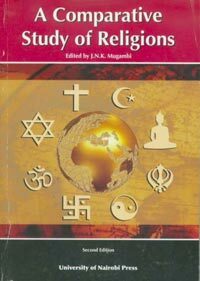 During the research for our textbook A Comparative Study of Religions (Nairobi University Press, 2010; first published in 1990), we reached the conclusion that the “abuse of religion” for selfish ends is rampant across all cultures and all religions. In Contextual Theology across Cultures (J.N.K. Mugambi and Michael R. Guy, Nairobi: Acton, 2009) we observed that such abuses of religion continue unabated, on both sides of the Atlantic. Religiosity is indispensable in the life of individuals, cultures, and nations. The challenge is how to practice religiosity in such a way as to enhance life, rather than undermine it both overtly and covertly.
. . . We should not confound the “witches” which our forefathers brought to America, with those under control of the witch-doctors and voodoos in the half-civilized areas as, in Africa, or the islands of the Caribbean, or South Seas; i.e., not too direct. Our witches definitely have come to us through an association with emotions of good and bad, as we know them, through affiliates of the Christian church of all denominations—Protestant, Catholic (Roman and Greek, or Eastern), and the Jews—or even the non-Christian whose philosophies, in part, are like unto the Mosaic, in origin, viz: pagan. Perhaps, then, we have just bettered our very early ideas, and justified them for want of courage to change them! Is it reasonably safe to look at the customs, folklore, and superstitions of the African, and say to ourselves: “Well, that’s about the way our folks looked at life not so very many generations ago!” And yet, with all of this in mind, the witches of our time, and of the past, and those of the half-civilized natives of Africa, Asia, and the islands, must have come from the same early pagan source—therefore we think it so strange that the Christian religion (of all religions) has given them any place at all—if there are no witches! All this, despite the effort to destroy all books pertaining to the subject, as they tried to, at Ephesus! The half-civilized, as well as the civilized, have knowledge of, and emotions, which may be expressed by a reaction to favours received from good spirits, or bad spirits. Do we have witches in Pennsylvania only among the Germanic people; not the English, Italian, Irish, Slav, Welsh, Hungarian, and the other races? Since witchcraft is the perversion of religion, it is always looming and hovering in the shadows of conventional religiosity, irrespective of whether or not the establishment acknowledges its existence. The challenge for scholars is how to make sense of it, for the common good. 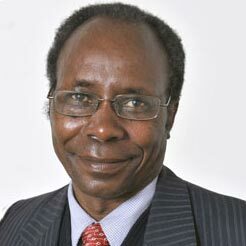 Jesse N. K. Mugambi is a Professor of Philosophy and Religious Studies at the University of Nairobi with professional training in education, communication policy and planning, publishing, ecology and applied ethics. His academic specializations include philosophy, theology and religious Studies.